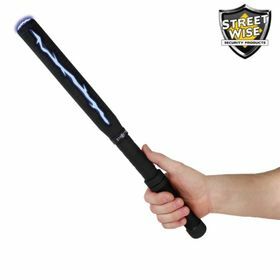 Streetwise Nightstick 7 Million Stun Baton Rechargeable is the reason why Teddy Roosevelt once said "walk softly but carry a big stick"
Teddy Roosevelt once said "walk softly but carry a big stick". Many think he was referring to a powerful military but we are convinced he must have had the Streetwise Nightstick in mind! This unit brings new meaning to the expression, "the long arm of the law" by combining a super bright LED flashlight with an extremely powerful 18 inch long stun baton. Whether you are a police officer, a security guard, or an ordinary civilian you will have the confidence to walk anywhere knowing you are well protected. Long Reach: This is one of our longest stun batons!! 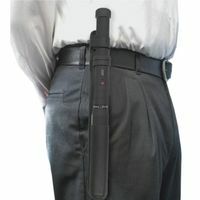 At 18 inches long, this baton allows you to defend yourself while keeping you at a safe distance from your attacker.